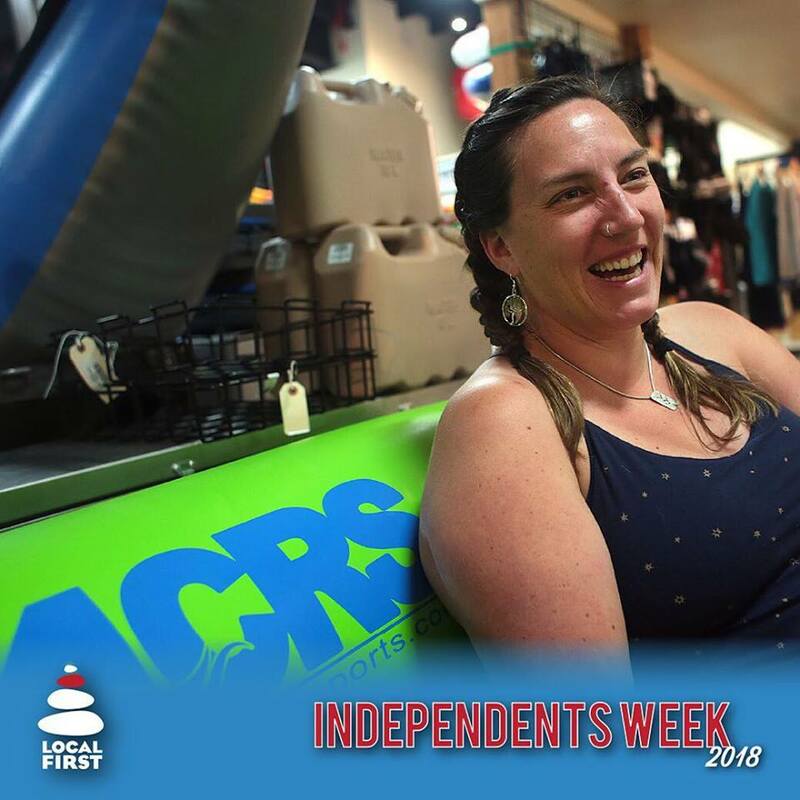 Tell us a little bit about 4Corners Riversports and why you’re independent? 4Corners Riversports was started by Milt Wiley and his daughter Nancy in 1983. They had a passion for boating in the southwest and wanted to bring paddling here to the four corners community. We are an employee-owned business which is nice because we get to make all the decisions on where we want the business to go and what paths to take. Nancy Wiley started River Days back in the 80’s with the intention to bring slalom boating and other white water events into town. It has grown throughout the years and now it’s a pretty big event. 4Corners plays a pretty crucial role in River Days and we’re a big sponsor and help run the whole event every year. How is 4 Corners giving back to the community? Pretty much anyone that comes into the community looking for a donation, we’ll give it to them. Paddle board rentals, sometimes kayak school and other donations as well. We really support the river festivals in the local area to make sure that people come and paddle. What benefits do you guys have that chains or non independent businesses can’t offer? We pride ourselves on our customer service, which can’t be said with a lot of chains. We also do price matching which means if a chain has a lower price than ours, within a reasonable amount, we’ll match it so we make sure everyone can shop local instead of going to the big guy. It’s also important to us to pick high quality products that aren’t just going to break in a year, that will last over a long period of time so that we’re not filling up landfills with all that other cheap stuff. That’s why we pick companies that provide a higher quality product, have a better warranty, and also companies that we stand by. We’ve narrowed down the companies, especially with our paddle boards and we’ve chosen the ones that do good for the environment and give back to their communities. We have a rep company right now that reps Clean Cantine and Chaco for us and they are sending all of our firefighters a care package from the Durango retail community–a chain would not be able to be involved in the community that way. Probably do a freedom float which is just floating in the valley on a raft. We’ll bring the kids but this year will be a little different because of the fire restrictions so we’ll probably just have to have cheese and crackers instead of a normal bbq.